Well, having just revisited 1997's Lost Highway, I'm happy to report that it holds up just as strongly as ever. You know, I was a little concerned with this being the bridge between David Lynch's more traditionally told narrative films (like Elephant Man and Blue Velvet), to his current style of mysterious films that ask to be deciphered (i.e. Mulholland Dr. or the current season of Twin Peaks). I thought, looking back at this, it might come off as a bit simplistic, or a clumsy first attempt at what he's since perfected; and what was once impactful might now feel a little limp. But no, it's still strong stuff. That said, Lost Highway is a little simpler. I can still see someone coming into Lynch's films cold being totally baffled by this film, but I'd say it's far easier to interpret than Inland Empire. It's no less of a powerful work because of it, though. The back of the Australian DVD (more on that in a minute) case describes it merely as, "the story of a killer who suffers acute schizophrenia." For my money, that might be a little too specific a diagnosis; but that gives you the general idea. We see a murder mystery start to unfold and then repeat, altered, with different people in each other's places. And I'll just leave it at that, because I wouldn't want to spoil anything. Despite being a little arch, as Lynch tends to be, with as much influence generated from old noir films as authentic human experience, the drama still lands, and the creepy imagery even more so. I mean, that scene when Bill Pullman meets Robert Blake at the party may still go down as one of the most chilling horror scenes of all time. Badalamenti's music plays backseat a bit this time, upstaged by some licensed songs and Lynch's always brilliant sound design, but it all adds up to a very consistent atmosphere. And the cast is littered with greats. Besides Pullman and Blake there's Patricia Arquette, Robert Loggia, Balthazar Getty, Jack Nance, Gary Busey, and even cameos by Richard Pryor(!) and Marilyn Manson. Strangely, for the longest time, this film wasn't even available on a basic DVD here in America. That's why I originally imported that aforementioned Australian DVD from Shock. It was released in 2001 in anamorphic widescreen and with a couple interesting extras to boot. Finally, Focus Features/ Universal issued it here on DVD... in 2008. Barebones. Jeez, guys, would it kill ya? Anyway, that's still the best and only release we've gotten Stateside. But there have been a number of additional DVDs and yes, blu-rays overseas. The one I've got for us today is the German blu from Concorde. Let's have a look. 2011 German Concorde blu bottom. All three discs are anamorphic, widescreen at roughly 2.35:1 (the US DVD is a pinch wider at 2.38:1, adding very slim slivers to the sides), and thankfully free from interlacing or other image problems. The colors look a little bleached on the Australian DVD, and while none of these bear any stamp of having been approved by Lynch or the DP to say which is the most "officially" accurate, they appear too dark and saturated on the US DVD to my eye, with the blu seeming to pick the happy medium. Maybe the film's truly meant to be so dark and vivid, but the US DVD crushes blacks and loses a good deal of finery for the sake of that bold choice. There's a note on DVDCompare's page that the Shock DVD is "[s]aid to feature a less than adequate transfer," but I'd take it over the Universal. The HD blu is naturally sharper and clearer than either of them, though, with nicely realized grain. I was expecting more of a smudgy, grainy master, but am pleasantly surprised with how Concorde's blu looks. Okay, maybe their blacks could be a hair darker, but that's really getting into nitpicky areas now. Australia's Shock DVD features a 2.0 mix and no subs, while the US features a 5.1 and subtitles in English, French and Spanish. Concorde's blu gives us the 5.1 in DTS-HD, plus a German dub, but unfortunately only has optional German subtitles. So let's talk extras. There isn't a whole lot to speak of, but there are some, and they're interesting. Oh, except not in the US. Our Universal DVD is completely barebones, they don't even throw in the trailer. The Australian DVD doesn't have the trailer either, but it has almost 45 minutes of interviews and behind-the-scenes footage. Pretty sweet, but Lynch fans might find it all a little familiar. 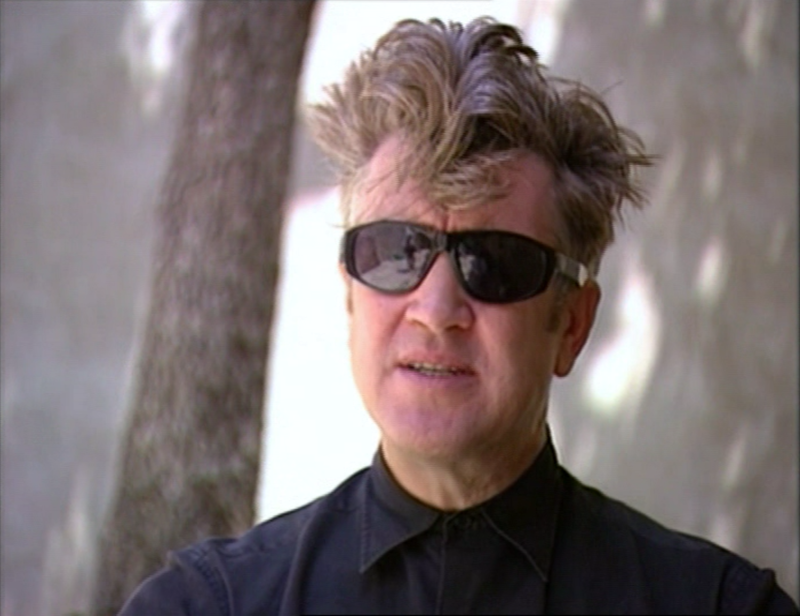 It's just footage excised from the documentary Pretty As a Picture: The Art of David Lynch. That doc was filmed as Lynch was making Lost Highway, so while it isn't about Lost Highway per se; an awful lot of it centers around that shoot. And Shock basically just cut out all the footage from it that pertains to Lost Highway and stuck it on their DVD as if they had five original featurettes. But it's all taken 100% from there. So, if you already have the film (Image released it on DVD way back in 1999), you're not seeing anything new. Nice to have over Universal's abject nothingness, but still a little disappointing. Concorde doesn't have the Pretty As a Picture stuff, but it does have a few things, yes, including the trailer finally. It also has a couple German-language bonus trailers, but more interestingly, it also has some vintage Lost Highway promo-material. We get a five minute interview with David Lynch, seemingly shot on location, plus about ten minutes of behind-the-scenes footage, giving us a little glimpse of the film's creation. Hearing little snippets of Lynch directing the actors could possibly help the die-hard analysts interpret a few scenes. That's it, though; there's just those two things and the trailers. Really not very much, under twenty minutes all together, but worth seeing for sure. So the film's great, and the blu is a worthy upgrade of any prior edition. There are also French and Australian blus which reportedly have even a couple extra minutes of additional promo material on them, so you might prefer one of those, but it's a slim distinction. Supposedly Lynch has been re-acquiring the rights back to his catalog, so every month I'm hoping Criterion will announce new 4k special editions of this and and Straight Story; but it keeps not happening. And this is a tough film not to own in your collection, so the choice is yours whether to grab one of these foreign discs or keep holding out. But I will say, while there's always room for improvement, and certainly new special features (and deleted scenes?! ), I'm not sure a 4k restoration would look all that superior to what we're seeing here. Absolutely ludicrous we don't have an official bluray STILL.